Child Focus, Inc. is a leading provider of behavioral health services for youth and families in the Southwest Ohio region. We are looking for a full-time year round Community Mental Health Therapist to provide community and office based services. 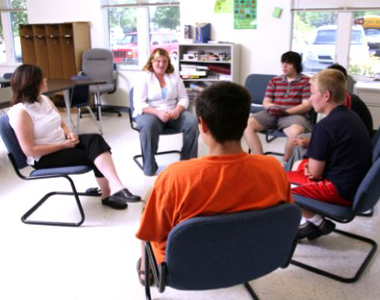 Provide individual and group treatment services for youth referred by the school system or their families. Completes diagnostic assessments, Individual Service Plans, and risk assessments. Collaborates with educators to assist students in achieving academic success, as well as relationship building with school administration. Completes documentation required in a timely fashion. Experience working with youth and experience in a school setting is preferred. Flexible hours with some early morning school hours as well as some evening hours and on-call responsibilities. Child Focus, Inc provides excellent fringe benefits, mileage reimbursement and company car program. Staff play a critical role in the success of the children, families and adults we serve in our community. Applying for a job to become a part of our team means you are committed to our mission, core values and high standards of performance. Our commitment to you is to provide the best training, support and coaching to be amazing at your job so the children, families and adults we serve have the best outcomes.